At Clark Family Dental, Dr. Clark believes in preventing oral health issues before they happen. With education and the tools you need to succeed, we can help you maintain a healthy, clean mouth that can last your entire life. Dr. Clark provides exceptional care for your oral health. Below are some of the preventive services offered through our practice to help you maintain a healthy mouth. Following the guideline set up by the American Dental Association, we like to see our patients for dental cleanings and checkups every 6 months. We believe that this will help you have and keep a healthy mouth. We may ask to see you more frequently, about every 3-4 months if you are being treated for periodontal disease, also known as gum disease. A thorough dental exam should occur at least once a year. This process will depend on your past history of cavities, decay, disease, and more. Along with your appointment, we will examine your oral cavity with digital x-rays between every 6 months to 3 years. Dr. Clark will examine these images depending on your past history of restorations and how regularly you visit the dentist for exams. Your oral health is our concern. 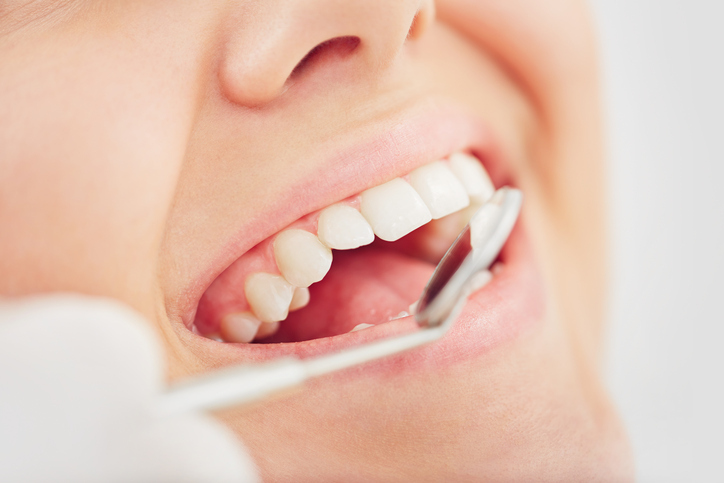 During your dental cleaning, our hygienist will look for signs indicating gum disease. This occurs when plaque has built up below the gum line and the bacteria has inflamed and infected your gums. As this disease progresses, your gums will pull away from the roots of your teeth, causing much more serious problems if it continues. Gum disease can be a building problem, besides severe tooth problems, gum disease has been linked to more serious problems such as diabetes and heart disease. As a preventative measure, Dr. Clark is able to apply a resin material to the surfaces of your teeth that are most susceptible to decay. Dental sealants bond in the deep grooves and surfaces of your back teeth, molars, and work as a shield between your teeth and debris, this bond prevents tooth decay. We recommend that all of our young minor patients receive dental sealants, and our adult patients who have had continuous problems with decay. The American Cancer Society estimates that about 52,000 Americans will get oral cavity or oropharyngeal cancer this year. Luckily, the survival rate for these cancers had been increasing over the last 30 years, largely thanks to oral cancer screenings. We perform an oral cancer screening to look for signs of cancer or precancerous conditions in your mouth. Sometimes tooth extraction is needed as a preventative measure, We only recommend extraction for teeth that cannot otherwise be saved. Many times we can save teeth that have been damaged by trauma or decay with a crown or a root canal. No matter what your situation, at Clark Family Dental, we will have your mouth on the road to recovery in no time! When used appropriately, fluoride can provide much-needed resilience to your teeth. Fluoride can provide added strength by rebuilding lost minerals and in turn, prevent decay. We will help you have stronger teeth by evaluating the current status of your enamel and provide a simple, painless fluoride treatment when it’s determined to be beneficial. Preventative measures will extend the life of your teeth. We provide preventive care to protect our patients against more painful and expensive restorative care, so many of our patients are simply not taking advantage of our services and the education that we offer. Together, we can make a difference in the health of your teeth. Contact our office if you are experiencing anxiety or unsure how to fit our services into your schedule. For more information on how you can keep your teeth healthier, longer, contact Edward L. Clark, DMD, at our Redmond, OR 97756, office at (541) 604-2900.